This season finds Vera and Aiden investigating several mysterious deaths, including a park ranger found washed up on the shores of a remote wildlife reserve, a drug addict, a promising young journalism student, and a woman who had disappeared six weeks earlier. 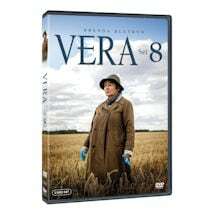 Despite her unconventional ways and abrasive personality, Vera continues to captivate in this long-running British drama that is "sheer heaven for fans of police procedurals" The Philadelphia Inquirer. 4 episodes, 6 hours, 4 DVDs, SDH. Mature audiences. Vera is drawn into a suspicious death on Ternstone, a remote and inaccessible island off the coast of Northumberland, home only to numerous species of birds and the rangers who observe them. The body of a young man is discovered face down in a river by Thrunton Woods. But tracing the victim's identity proves difficult for Vera and her team. 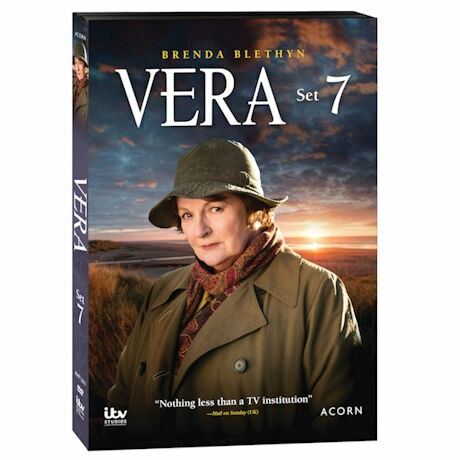 Vera is called to Northumberland University when a student plummets to his death from the top of a disused faculty building. Surveyors out on the Northumberland moors make a shocking discovery: the body of a young woman buried beneath the soil. Starring Brenda Blethyn, Kenny Doughty, Jon Morrison, and Riley Jones.